One thing the Super Nintendo is fondly remembered for is its role playing games - titles like Final Fantasy III, Chrono Trigger, or Secret of Mana. These games are story-driven and have you play as a cast of characters usually working to save the world from a great evil. The games generally had beautiful, if blocky, artwork, and unique, menu driven combat. 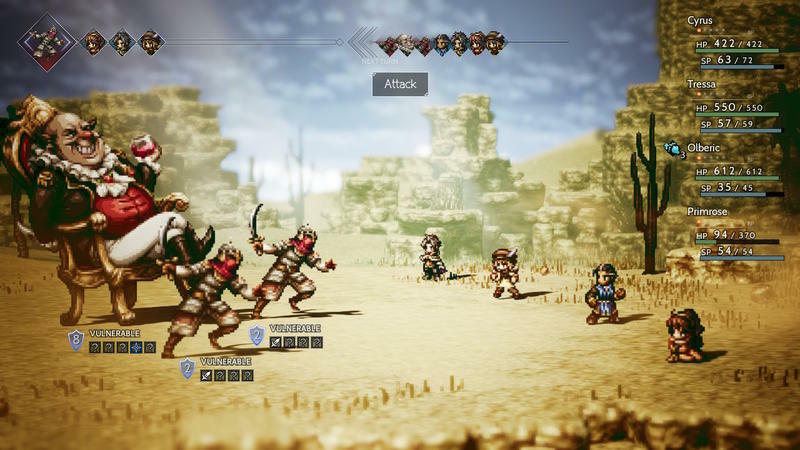 A new game has been released on Nintendo Switch, called Octopath Traveler, which celebrates this tradition. 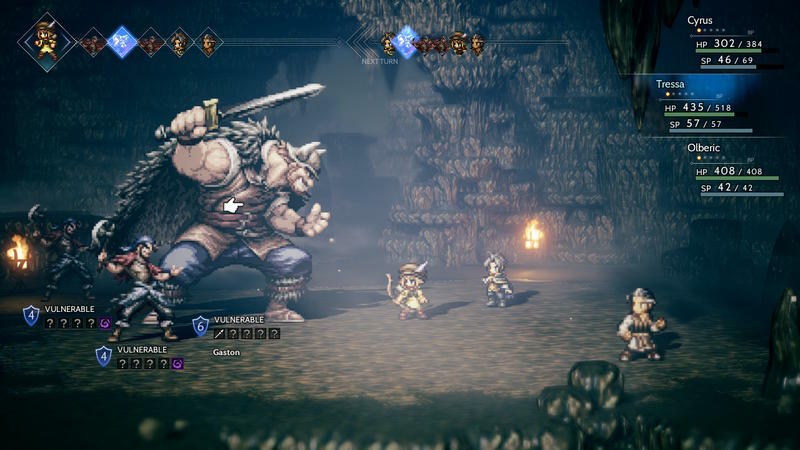 Rather than the one epic story that most games like it deliver, Octopath Traveler is more like a collection of eight short stories, all set in the same land. You choose one character to start as, and as you journey on, you’ll come across the seven other characters available to play. Each character has four chapters, which each take an hour or two and finish in a dramatic battle which are tailored to that character’s particular strengths or weaknesses. The characters include a knight-errant who is searching for the man who killed his king, a cleric on a religious pilgrimage, and a woman who escapes slavery to find the people who murdered her parents. Just as engaging as the stories in the game is the combat. The game requires a lot of strategy in battles, but thankfully the game doesn’t hide very much information from you. When you strike an enemy with something that they are weak with, the game will let you know - and if you do this enough, the enemy’s defenses will break and they will be unable to act for a turn. Balancing this with your party’s attacks and resources is the key to victory - but it often isn’t easy. The game’s art style is an homage to the games from the Super Nintendo era - characters look like they could have come directly from that console, and while the environments are all 3D, they are layered with pixellated textures, giving the world a cohesive look that, while looking modern, also evokes the feeling of those older games. 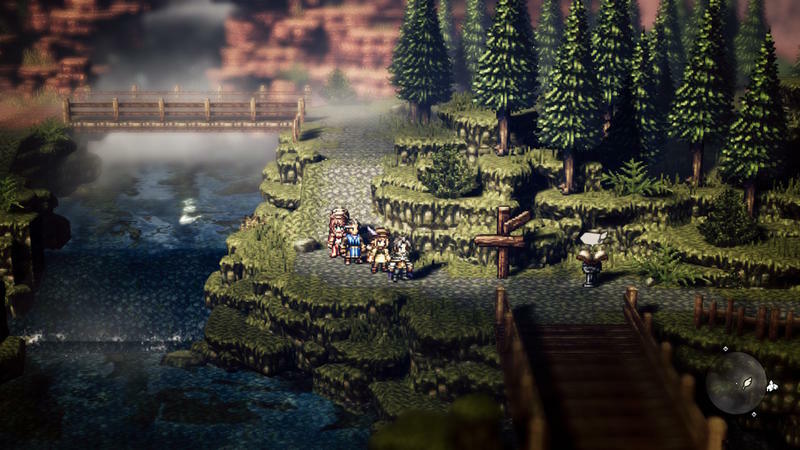 Octopath Traveler isn’t perfect - I wish the characters’ story lines intersected more - but it’s a beautiful game, in its story,its music, and its artwork.